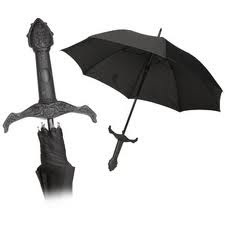 A WARTS'N'ALL INSIGHT INTO THE LIFE OF THE KNIGHTED HEAD OF THE UMBRELLA BODY FOR UMBRELLAS. HIS BLOG IS PART OF THE NATIONAL BLAG ARCHIVE. OIIIIII, BILLY SHORTSHRIFT. YOU WANT SOME? DO? YOU? WANT? SOME? HEY? COS I'M A BIT TASTY IF YOU KNOW WHAT I MEAN. I don't mean it personally, Billy. But I find it's always best to try and impose yourself on new regulators, set your stall out, show no weakness. In case they try and regulate against you. Now Billy, I am sure you are very capable and nice and things but be a good boy and keep your right wing opinions and thoughts to yourself and just get on with regulating. Unless it is in an area where it suits me for you not to regulate. In those instances, stop regulating. Turning a blind eye to trustee payments would be a cracking start. And any comments in my blog that could be construed as political campaigning. Don't worry, I will constantly remind you of what you should be doing in my blog whether you like it or not. Good luck Billy. You're gonna need it pal. Thanks for those who offered suggestions for Billy's Boggname. My old mucker Lester Twomore, head honcho at the Brolly Lottery Fund (which should be renamed the Bogg Lottery Fund in my honour - like the lottery any impact and positive effect I have on good causes is purely incidental to the fact that really what I am about is a load of balls) offered Will.I.Am Deffoangry and I was myself toying with Will.I.Am YoFoShizzleX. (one for the hip happening musically clued up kool kidzs, like Lester). And on a similar theme an anonymous person thought Wilhelm Abidingly-Querulous (ABQ to his Eton and Oxford chums) would be a good one. But the glory almost goes to Don Peck (@commoncapital on Twitter) who inspired the Shortshrift moniker with his idea of Grill Shortcrust. We have heard nothing more from you since this blog posting. Have you Sir Robin, gone to that great umbrella rack in the sky? Sir Robin Bogg is chief executive of BUBB - the British Umbrella Backing Body. BUBB is the membership organisation representing millions of British umbrellas and parasols, and manufacturers and trade bodies associated with them. After gaining a first with dishonours in Greco-Latin at St Bolocs, Oxford, Sir Robin commenced a career as a social activist and gained a reputation on the now infamous Mansfield/Rotherham whist circuit. Sir Robin first became aware of the value of a good umbrella when he was caught in a shower without one in 1996 and so followed his heart and applied for the role of Spokesman for Spokes at BUBB. Four years later he became chief executive. During his tenure he has successfully raised the profile of umbrellas and the umbrella industry as well as strengthening its influence with government. Always colourful and controversial Sir Robin has gained a reputation for defending umbrellas to the hilt, and indeed the handle. Sir Robin is also chair of Brolly Investment Business a government backed fund which invests in umbrella related enterprise. He was finally knighted to stop him banging on about it in the 2011 New Year's Honours.